The Tango in D Major, like most of Albeniz's works were for the piano, although he did write some operas. Surprisingly, his most popular works, the Suite Española Nos. 1 and 2, and the Suites España and Iberia, all for the piano are have become better known in transcriptions for the classical guitar. His famous Tango is from from Suite España. It is justly famous and has been arranged for many different combinations. Isaac Albeniz (1860-1909) was born in the Spanish town of Camprodon in the province of Catalonia. However, he never thought of himself as Catalonian and never spoke the language. He considered himself Spanish and although raised a Catholic believed himself to be of Jewish and Moorish descent as so many in Andalusia and Catalonia were. He began to study the piano at an early age and it was quickly discovered that he was a child prodigy of the highest order. He studied piano with a series of famous teachers and pianists, including Antoine Marmortel, Carl Reinecke and Franz Liszt. He enjoyed a career as soloist, but also as a conductor and composer. 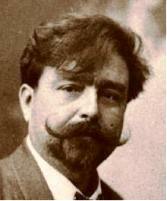 Albéniz's influence on Spanish music was profound. His activities as conductor, performer and composer significantly raised the profile of Spanish music abroad and encouraged Spanish music and musicians in his own country.